7 PM – Stonebridge Restaurant in our hotel in Warsaw. “How did it go today?” I was more than a little curious. And you need the opinion of someone who will shoot straight. Poland is special to me. When I present here, I want to be the best I possibly can be. We sat in the Stonebridge restaurant. It was pretty quiet. Everyone had gone home from the days event. Tia ordered a bottle of Bulgarian wine. I must have had chicken because I always have chicken. The two waiters were fawning over her like most waiters in most restaurants we’ve been to in Europe. She’s electric. Other than that, my memory of that week is sketchy. It’s hard to fathom that was 3 months ago. I couldn’t have been that good, but, anyone else says that, I definitely wouldn’t have been remotely convinced. Everyone knows that my yardstick for excellence is did the audience have a profoundly valuable day. “What makes you say that? “You talked for 3 straight hours before your break and only the woman with a baby went to the bathroom out of 400 people. Excellence, is a frame of mind. It’s not an absolute result. You can give life 100% and get 0% back. And sometimes you can give life 10% and get back 80%…for awhile. For the people I work with I simply want them to go for it with all they can. The results will take care of themselves. And sometimes life happens. See if this sounds familiar to something you’ve experienced. Saturday the 13th, I had been in charge of my Dad’s funeral. Slept 3 hours… Lot on my mind. Sunday the 14th, we packed. Slept 3 hours. 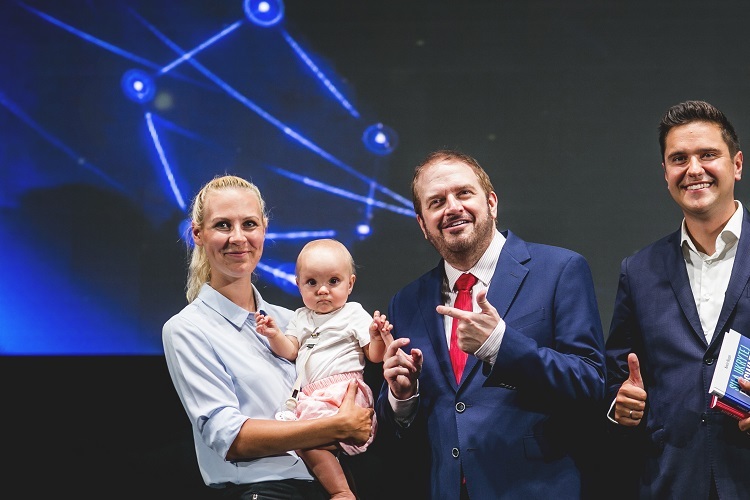 I was incredibly focused on preparing for a last minute addition to my Warsaw schedule…an extra 4 hours of event presentation. Monday the 15th we were off to Warsaw. We arrived 17 hours later and I was absolutely wiped out. Monday night I slept…zero. Really. Zero. Tuesday I presented from 10 – 6. And then we stopped for the first time in days and ate. In discussing excellence, it’s important to note that the yardstick is did the audience have a profoundly valuable day. Apparently they did. I watched the video a week later. It WAS a pretty good event. Competing commitments don’t stop you from being excellent, but they demand you won’t meet everyone’s expectation based on past performance. Excellence is about doing the very best you can. It’s also about recognizing you will screw up at SOMETHING and you will need to get back to the batters box even if you fall short. Are you awesome (fully invested) at what you do? Do you give every ounce of energy? I’ve just finished upgrading what I consider the Ultimate Success Course. I’ve put out a lot of courses that just blow the socks out of everything else I’ve ever seen. But this is the culmination of YEARS of work and it’s got to be EXCELLENT FOR YOU. This article is page one of The Ultimate Success Course. Excellence is a prerequisite to success. I don’t think I’m the best professional speaker on the planet. It’s not exactly something one can evaluate with certainty of results…there is a bit of bias involved! That means I have a problem. The problem comes up every time I go on stage. I don’t think about being the best. Too much to think about. …knowing someone’s name is one thing. Knowing what they told you their wife’s name is, their kids names, their job, how they pronounce their name… now you don’t have to think about “being the best.” Screw that. You KNOW your audience. And now they KNOW YOU CARE. I create what I think will be the best experience for the most people in the audience and then make sure that everything goes as planned. There is a lot that has to happen from opening moments to hitting the elevator at the end of the day. You MUST have some “ego involvement,” or you will not be effective at what you do. You have to have a sense of pride in your work. 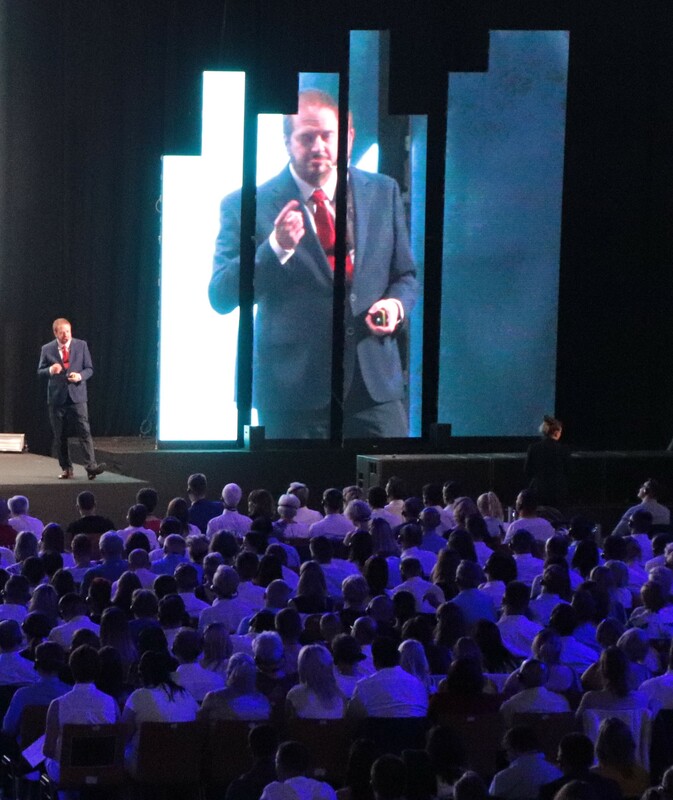 When I go to an event, I have a specific strategy to give the highest number of people a great experience and share as much information both consciously and unconsciously….as possible. What about as an author? I’ve written 24 or so books. Where is excellence as an author?! I think I’m an average writer from a technical standpoint. At University I got a “B” in journalism over the course of a few semesters. But I didn’t enjoy the journalistic writing style. When I moved away from journalism to psychology, I realized how lucky I had it in journalism! To say I didn’t like the REQUIRED APA writing style is a grand understatement. And when you don’t like something that much…you probably won’t do it well…and I didn’t. So from a technical standpoint, Strunk and White would have to hang me like a dangling participle. BUT from the standpoint of being able to help people understand extremely complicated concepts and ideas using simple language,…well…I got pretty good at that. It meant that I was no longer required to use a .,:; if I didn’t want to and that freedom of creativity allowed me to develop a writing style that is instantly recognizable. But it’s not the style. It’s what is being communicated. And it’s excellent. No matter what you do that is good in life, doing it well reaps great rewards. Whether this concept is applied to your work or your health, your relationships or your personal goals, making a commitment to personal excellence in whatever you do virtually guarantees a life of fulfillment, success and passion. As with most things in life, the results we experience tend to be in proportion with the quality of effort we put forth. If we don’t go for it, we experience minimal results. If we give our absolute best, we always get excellent results (even if they aren’t what we initially intended). Sometimes the results are BETTER than we expected. 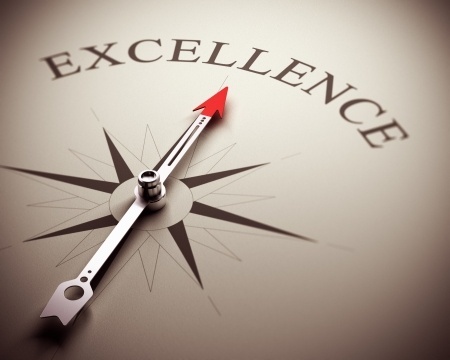 PAUSE: You may wonder whether excellence really matters. For a long time I’ve talked about the Law of Diminishing Returns. You can cut your 1/2 acre lawn in about 90 minutes and do a A- job, getting 99% of the grass cut and miss a little under the steps of the deck or whatever. Or you can cut your 1/2 acre lawn in 3 hours and do an A+ job, getting 100% of the grass cut and miss nothing. Me, I’ll take the 99% in most things in life. But MOST THINGS require being awesome and awesome is not perfection. People who require perfection are very likely to not succeed in most of their ventures. Perfection becomes procrastination in many cases. It becomes an excuse for accompishment. It becomes a factor in delay. DO NOT CONFUSE PERFECTION WITH EXCELLENCE. No, you have to be awesome. You have to be filled with energy so that you light up the bulbs in everyone’s minds. So you turn ON everyone’s thinking apparatus. You want to stimulate your audience for emotional impact and give them take aways that they can use in real life. And balance it as well as is possible. And there is ONLY EXCELLENCE. There is no perfection in speaking or writing…thank goodness…. If there was, there would be no creativity, no desire, no excitement, no love, no lust, no happiness…just perfection. You will level up when and only when you believe it is possible. One common reason people don’t give their best effort is because they don’t believe they are capable of more. Does this describe you? Recognizing this element is critical. There is nothing wrong with knowing that until this point you felt you couldn’t do something else, better, different or new. Do you think that if a task requires too much effort it won’t be worth the expenditure? Do you believe that real success is only for the truly talented and lucky, so there’s no point in giving your best? Just be honest because you are the person who lives with you! If you’re like the average or normal person, you are probably capable of far more than you have achieved to date. Do you have trouble believing that? Until, I suggest otherwise, trust me, taking one step up is not difficult. You’ve only begun. If you are willing to just CONSIDER that you’re capable of more, you are in the right mind-set to shift. First, take a moment to think abou t your accomplishments thus far, and be honest with yourself about the things you could have done better. Perhaps you shied away from increased responsibility at your job and got passed over for a promotion, or you gave up on making your dream a reality because it seemed too difficult. In order to bring out your best, you need to first acknowledge that your present circumstances are due to the actions you’ve taken so far, and more importantly the QUALITY of effort you’ve put forth. This can be an uncomfortable exercise because in a sense it means acknowledging that you are the cause of your own slowed or plateaued progress. If that is the case, it’s fine. Really! The fact is, only by knowing with certainty where you ARE can you move on to somewhere BETTER. Imagine you’re in a shopping mall, standing before one of those maps that state, “You are here.” If you know where you are you can easily map out a route to get somewhere else. It’s important not to JUDGE yourself for your progress (or lack of) up to this point. Feeling badly about yourself accomplishes nothing. If that feeling is truly there, simply allow it to be rocket fuel to move forward. The point is to gain a clear understanding of where you are, and figure out where you want to go. Acknowledge that you did the best you could with the resources you had, but now you are ready to do better, to level up…to take a first new step up. Excellence is not so much about WHAT you do, but how you do it. However, the more time you spend doing things that really matter to you, the more naturally you will bring out your best. What is important to you? What do you live for? What have you always wanted to do? Answering these questions will start you on an amazing journey of self-discovery and growth. Once you know the activities that make your heart sing, the point is then to do them often, and do them WELL. Master them like you’ve never mastered anything before. Throw yourself into them and become consumed by them. When we do something we feel extremely passionate about, we automatically give the best of ourselves to the task. We’re not focusing on anything but the present moment which means we are able to devote our full energy and attention to NOW. Not only do we end up enjoying ourselves to the fullest possible extent, we also lend that much more power to the end result. Half hearted effort leads to lukewarm results, but focused, passionate action brings forth powerful results. As important as it is to follow your passions, we all have things that simply must be done. We’ve got jobs, family responsibilities, mundane chores, and all types of obligations. It’s easy to slip into a mind-set of drudgery and do these things with half hearted effort, and much of the time we do just that. But what would happen if we began giving them our full effort and attention? First, we’d find ourselves feeling more upbeat about these unpleasant tasks. Rather than feeling annoyed or weary about them, we’d feel good about them. We’d start focusing more on the BENEFITS created by the work we do, rather than the work itself. We would also gain a sense of personal mastery over everything we do. From errands to interpersonal relationships, each activity would feel like its own reward. The results gained from these activities would simply be a nice bonus – better organization, greater fulfillment, deeper relationships, and more powerful results from projects. 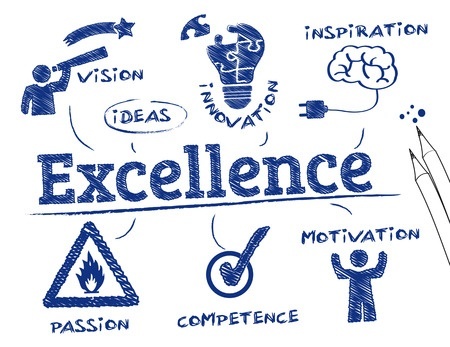 In general, personal excellence creates a sense of inner pride about who we are and what we do. It makes us feel more confident, happier, and focused. The important thing is to COMMIT to excellence with whatever you do. Don’t clean out the garage because you “have to”. Clean out the garage as if it were the most important thing you were doing that day. Clean it out as if a neat garage was of utmost importance in the grand scheme of things. Clean it out as if you would rather be doing nothing else in the world. Why? What does your attitude matter when cleaning out the garage? If you approach any task with a sense of boredom or grudging obligation, a few things will happen. First, you won’t enjoy the process at all. Your mind will be focusing only on “getting it done” and you won’t be giving your full attention to what you’re doing. Consequently, you end up missing out on the enjoyment of the process. Secondly, since you didn’t pay full attention to what you were doing, your results will be less than stellar. The garage might look “okay” and you might be fine with that. But wouldn’t “good” be better than “okay”? And wouldn’t “great” be better than “good”? Finally, with a ho-hum attitude, you will also miss out on that great sense of accomplishment and satisfaction that comes from a job well done. Perhaps you think it doesn’t matter, that doing a job for its own sake is fine and dandy. Sometimes that might be true. However, if you want to experience greater joy and fulfillment in your life, it makes sense that you’d want to enjoy the things you do, AND experience better results from them. The only way to do that is to COMMIT fully to whatever you do. Focus your full attention to it and allow yourself to be immersed in the process. Give it your absolute best effort and watch how it dramatically enhances the result! One great way to achieve personal excellence is by choosing to see your effort as an INVESTMENT in the end result. What is an investment? In a financial context, it is money we allocate (to a fund or program) with the intention to expand and grow it (with interest or other gains) so you get more money back. How does this apply to actions and excellence? If you see your every action as an investment, it means that you stand to gain MORE than you give. If you invest in your relationships by strengthening communication and spending quality time with loved ones, your relationships grow and expand into meaningful connections that enrich our lives. If you invest in your career by giving your best effort, continuing your education and striving for long-term advancement, you gain more money, greater job satisfaction and more opportunities for success. If you invest in your personal growth and development, you gain a greater understanding of your Self, your aspirations, and your potential. It’s exactly the same for everything you do, whether you’re working on your passions or your obligations. Would you want to have an operation done by a surgeon that was only half paying attention to what he or she was doing? Would you want to be driven by a taxi driver that was only half watching the road? Would you want to eat a meal that was only half cooked by a chef? Granted, most of the things you do may not be as life altering as these examples. But why should your results be any less important?